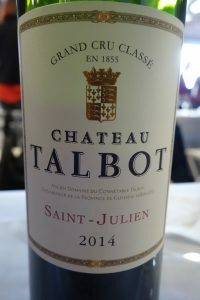 I have heard about Nigel Platts-Martin’s famous London restaurants (the Square, the Ledbury, Chez Bruce, the Glasshouse, and La Trompette) for years, so I was anxious to go to one of them when my friend Ian Amstad told me he was organizing a wine dinner focusing on Château Ponet Canet at La Trompette on the 3rd of May. 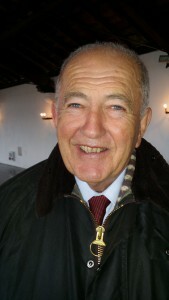 Owner Alfred Tesseron kindly agreed to come over from Bordeaux to attend the meal and to comment on the wines. Ian, Tim Mc Cracken from Paris, and I met Alfred at Dukes Hotel in Mayfair and then took a long taxi ride with him to Chiswick where La Trompette is located. 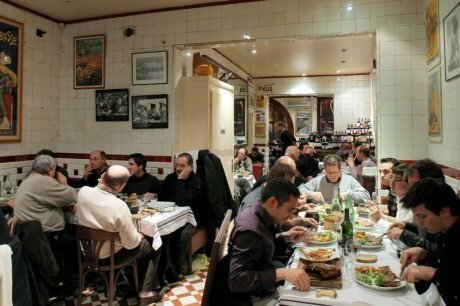 There were 16 of us from 5 different countries at two tables set apart from one of two main dining rooms with a screen. I sat with Nigel on my left and Alfred on my right. 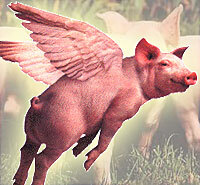 Nigel seemed amazingly at ease for a restaurateur. This is because he knows how to delegate and trusts his staff. They most certainly did not let him down. 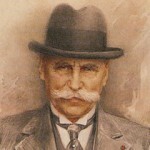 Alfred was also at ease in English and speaking in public. 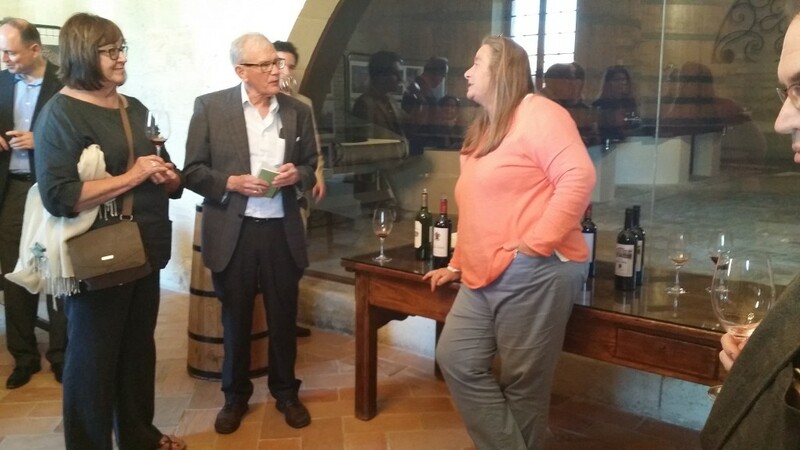 In addition to anecdotes about Pontet Canet, he also talked about his Cognac business and his family’s recent purchase of Pym Rae vineyard in the Napa Valley, an estate formerly belonging to Robin Williams. 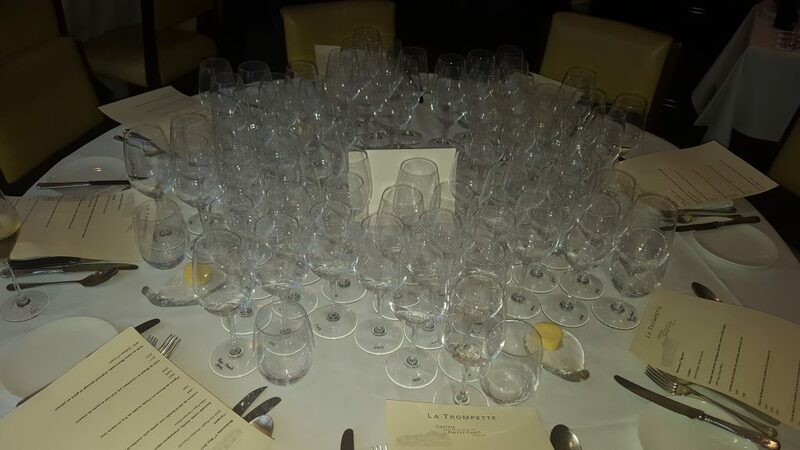 Service was superb throughout the meal, with a different glass for each wine. 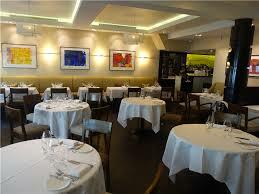 The food was top-notch and the main course as good as anything I might find in France. We started off with 2004 Pol Roger Cuvée Winston Churchill for the apéritif. 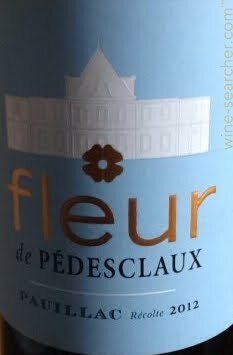 This was quite a fine Champagne, but I cannot honestly say that it had a special spark or inspiration. 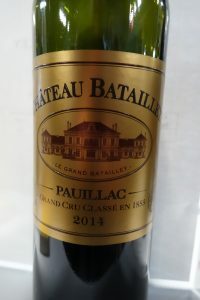 I don’t think that anyone would have taken the 1999 white Château Pape Clément (45% Sémillon, 45% Sauvigon Blanc, and 10% Muscadelle) for an 18-year-old wine if served blind! 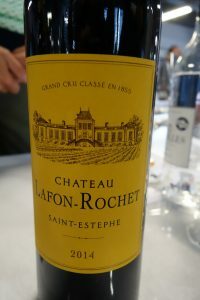 It had a very pale golden color and a nose of lemon and oak, plus a matchstick aroma. 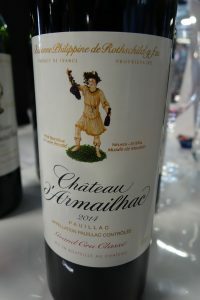 It was quite virile on the palate, with a long persistent aftertaste showing plenty of oak – maybe too much. This still has many years ahead of it and I wouldn’t see its peak before 2025. 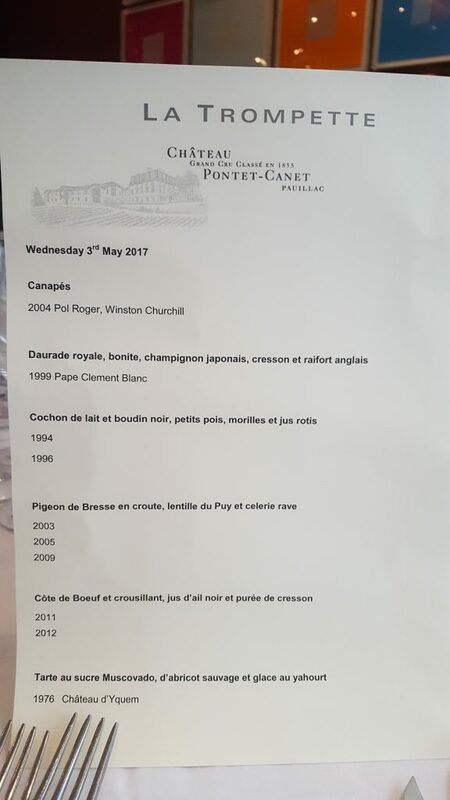 1994 Pontet Canet: This is hardly considered a stellar year, but I was very pleasantly surprised. The color was a lovely deep aristocratic crimson. 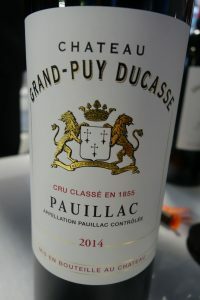 The nose clearly said Pauillac with ripe fruit, truffle, and graphite overtones. 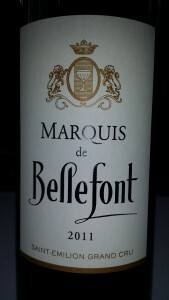 The wine was soft, mineral, and well-balanced on the palate. 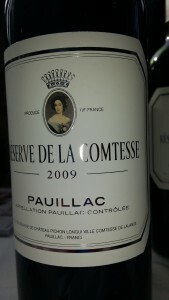 Slightly thin compared to the greatest vintages, it is nevertheless a very commendable effort. 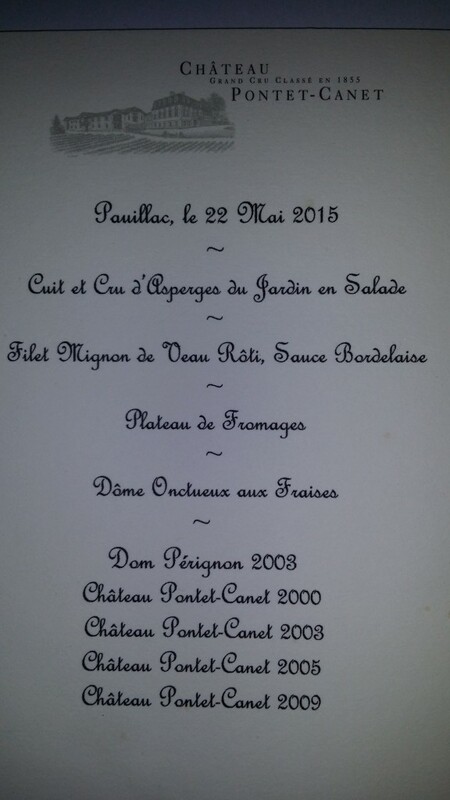 1996 Pontet Canet: Once again, a fine deep, dark color. The bouquet was somewhat monolithic with pencil shaving aromas. 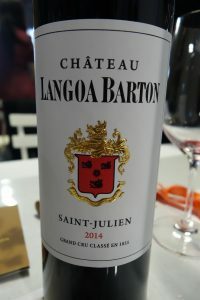 The wine was a bit dumb on the palate, and one has the impression that it still needs time some 21 years after the vintage. The tannin is fine-grained. 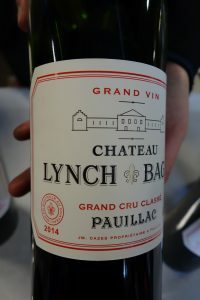 The 94 is more ready and user-friendly, but the 96 will be a better wine when it reaches its peak in perhaps ten more years. While not forthcoming or together at this stage, the potential is clearly there. The finish is long and promising. 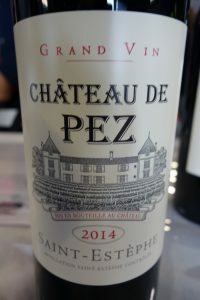 2003 Pontet Canet: This is quite a controversial wine among Bordeaux lovers, with its champions and its detractors… The color was fine, and the nose pure and up-front. 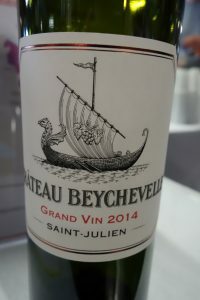 The wine was big, spherical, and raisiny on the palate. 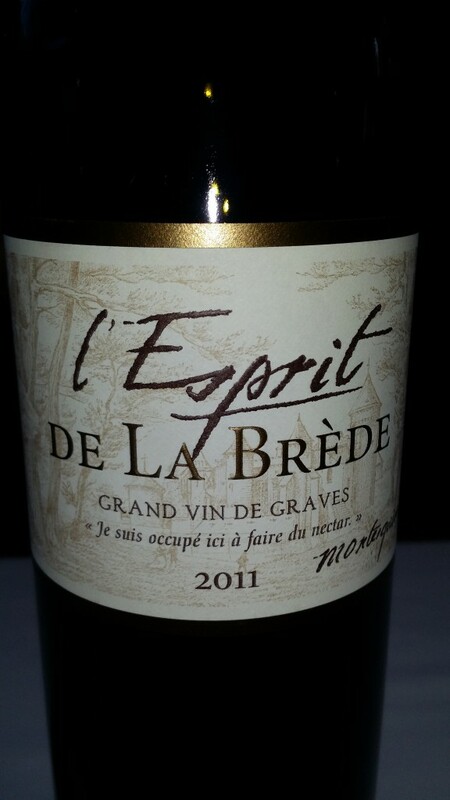 It seemed strong, assertive, and a bit dry, while lacking in a marked underlying character. 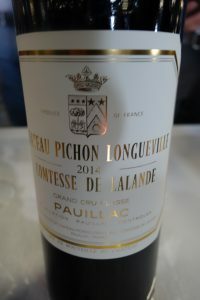 The overall structure was massive with plenty of grip, dry tannin, and black fruit on the finish. 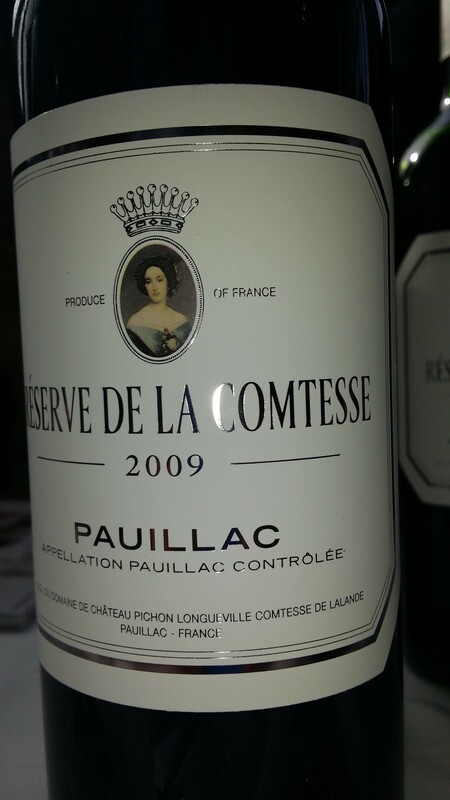 I don’t see where this is going, but I have one bottle in the cellar and will give it a few years more to find out. In other words, this is not at all the sort of 2003 that is top-heavy, low in acid, and to drink young. 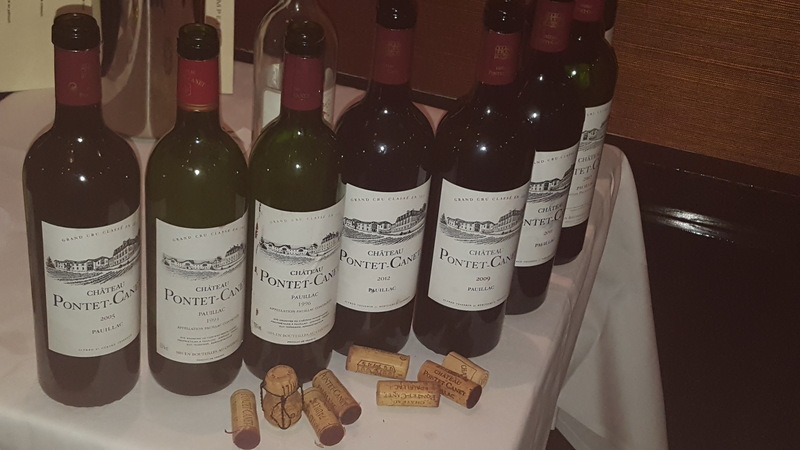 2005 Pontet Canet: This wine had a deep, impressive color and an altogether classic nose of cedar and Cabernet Sauvignon grown in its region of predilection. 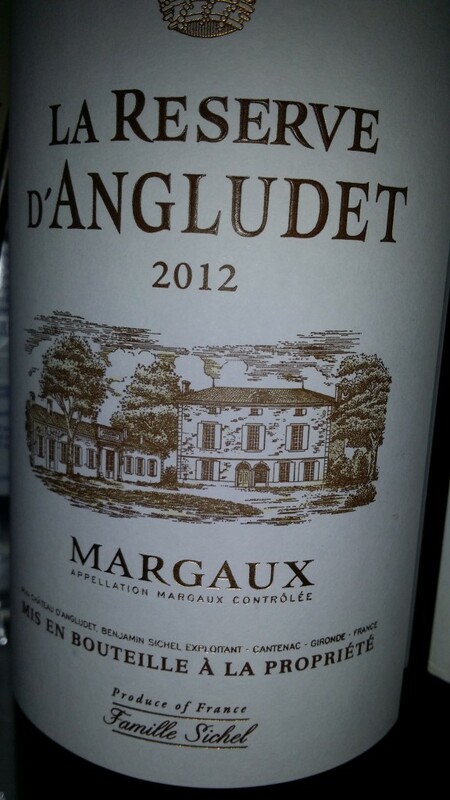 The bouquet was somewhat New World in its concentration and exuberance. 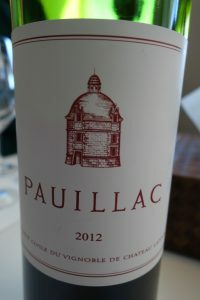 This quality followed through on the palate, which was meaty and a little extravagant, with fine oak. 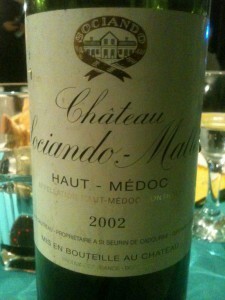 A long mineral aftertaste bodes well for further ageing. I’d give it about 15 more years. 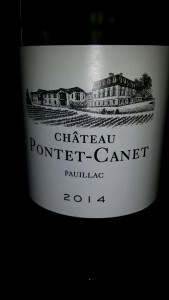 2009 Pontet Canet: The color was impeccable, as deep as one could hope. 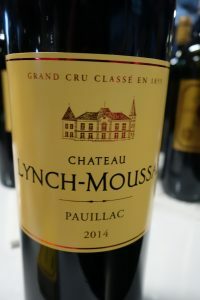 The nose was redolent of caramel, oak, and subtle cassis, whereas the taste featured coffee-vanilla components and spread out beautifully on the palate. The balance was superb. 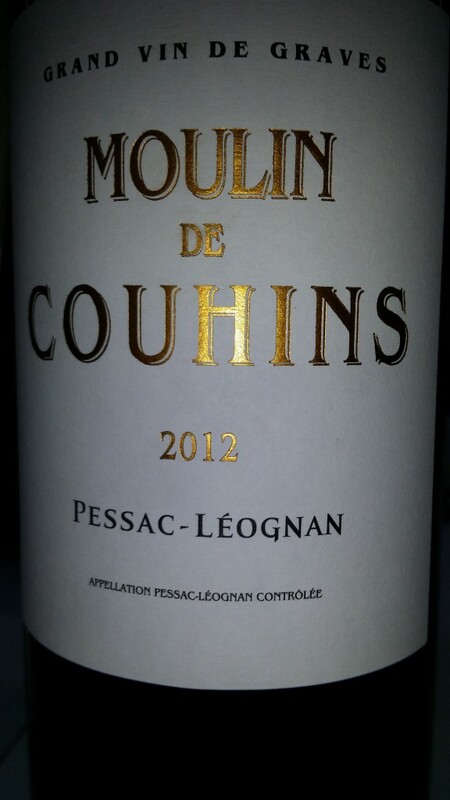 This wine was both gutsy and elegant. 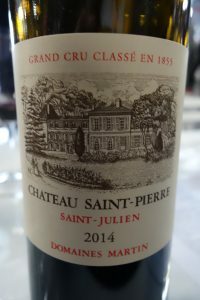 There is also what I’d call a streak or a line of cool, refreshing minerality that gives this vintage of Pontet Canet its unique personality and makes it extremely interesting. 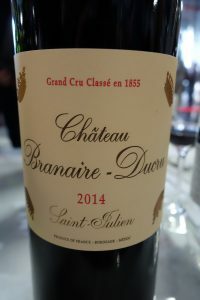 I tasted this wine en primeur in 2010 the same day I went to three first growths – and Pontet Canet showed in the same class… I was not at all disappointed with retasting, and it unquestionably holds tremendous promise. 2011 Pontet Canet: Fine youthful appearance with a bouquet showing toned-down oak and gorgeous blueberry, blackberry, and blackcurrant fruit aromas. Rich and full on the palate, but not exaggerated. There was obvious oak and a caramel flavor that needs to integrate over time. 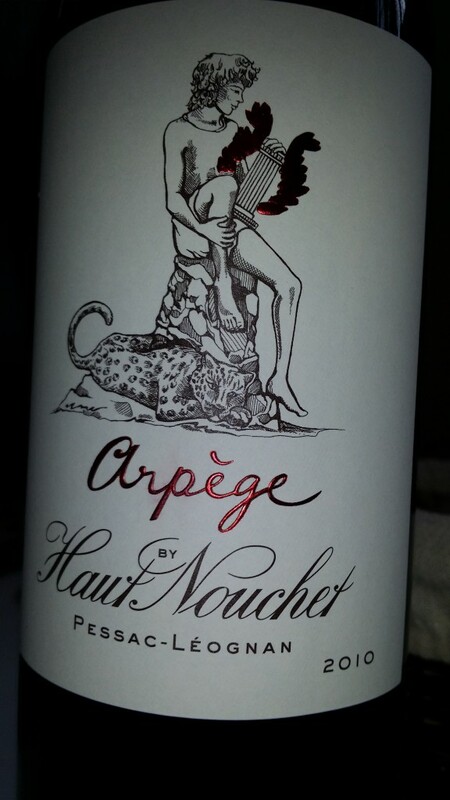 This is a “digestible” wine that was unexpectedly delicious. One to watch. 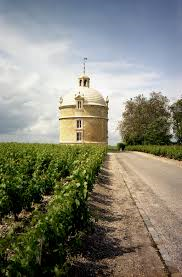 2012 Pontet Canet: Great color with a nose of ripe fruit, graphite, and sweet oak. 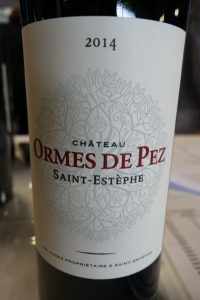 This oak, along with a caramel flavour, compete with the fruit at this time, but the wine is just going through an awkward phase in my opinion. 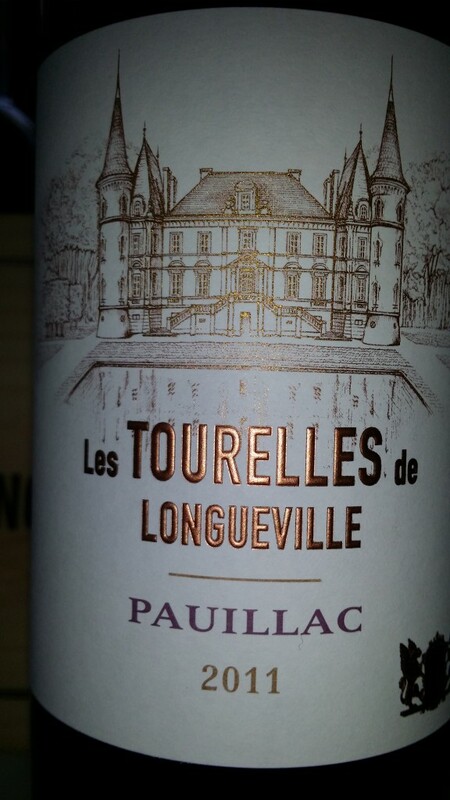 Although my least favorite wine of the tasting, it would be unfair to say that it was wanting. It simply needs to come together. We finished with an Yquem which, as always, is a great way to end a meal, even if this particular bottle of 1976 seemed a little tired. 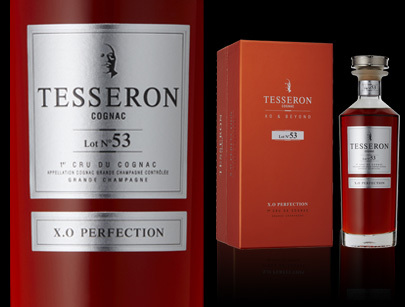 However, that was not to be the last word since Alfred was also kind enough to pour us all a glass of his Lot N° 53 Perfection Grande Champagne X.O. 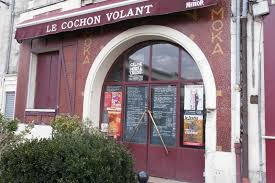 Cognac. 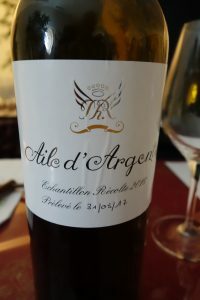 Like all the best brandies from the Charente, it was feather light and elegant to the point where you have no idea that you are drinking a strong spirit! Posted in Tasting notes and tagged Bordeaux, bordeauxwine, BordeauxWines, Médoc, medoc-bordeaux, Pauillac on May 10, 2017 by AlexR. 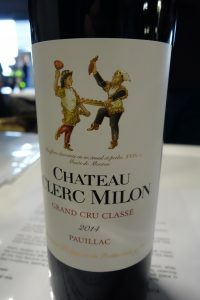 They always serve 4th growth Durhart Milon before the second wine of Lafite. Does that mean that it is less serious? No, but it is definitely lighter in body. 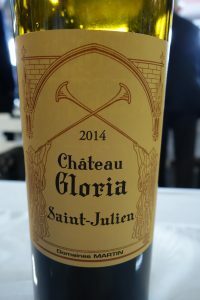 The nose of the 2016 is soft, ethereal, reserved, and aristocratic with telltale pencil shaving aromas. 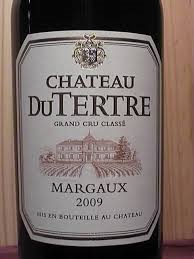 The wine starts out with a very smooth, caressing mouth feel and goes on to show refined understated fruit. It is more elegant than powerful, and lacks richness. 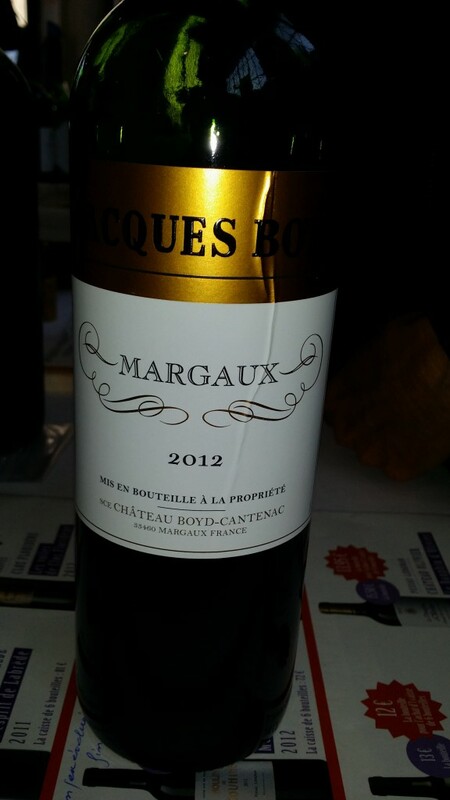 Medium-long fresh aftertaste with plush textured tannin. 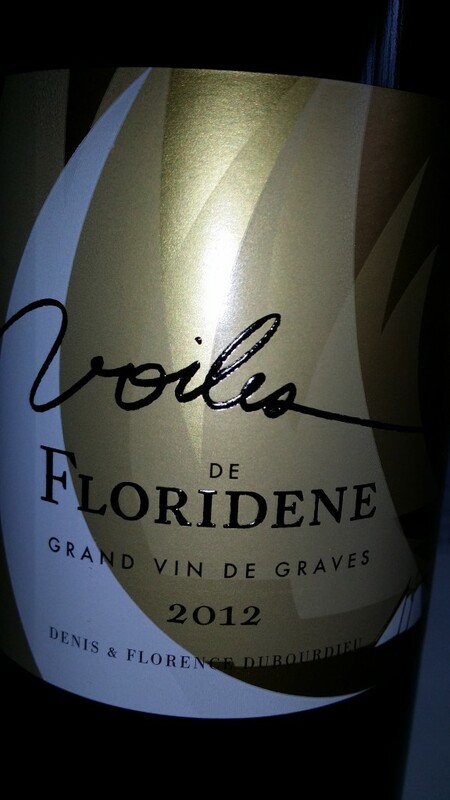 The nose is a little disappointing here, with some astonishing asparagus and bamboo shoot/Chinese vegetable notes! 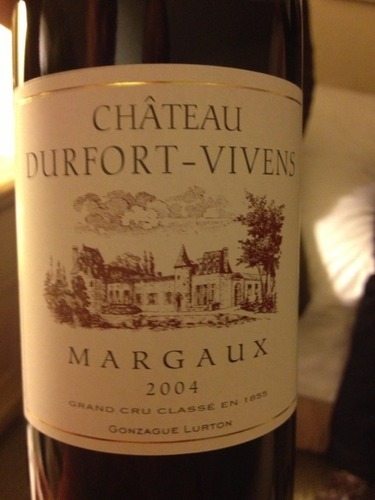 These dissipate somewhat with aeration, but the bouquet is not flattering at this stage. 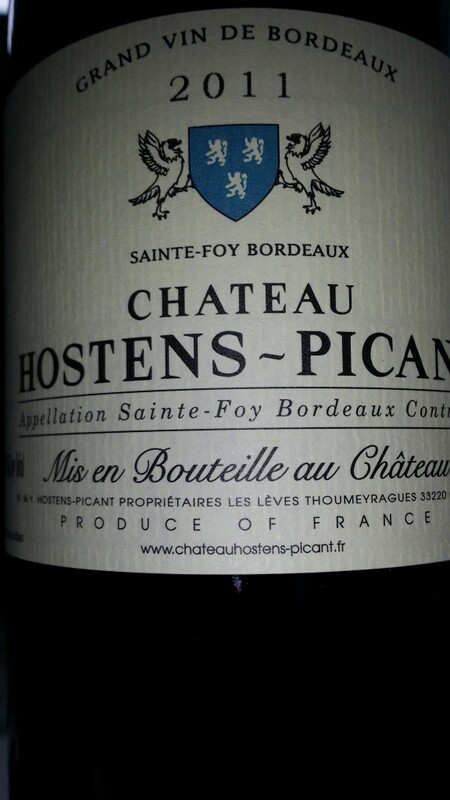 The wine is much better on the palate and fills out with a classy satiny texture and medium body. 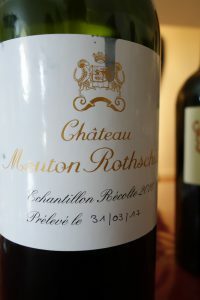 There is clearly good acidity on the finish, so it will undoubtedly age well, but will always remain on the delicate side. 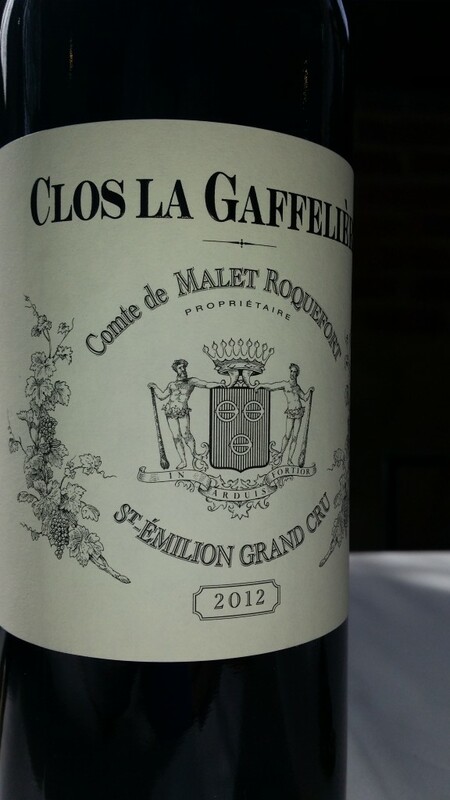 Lovely trademark Lafite nose words cannot aptly describe. 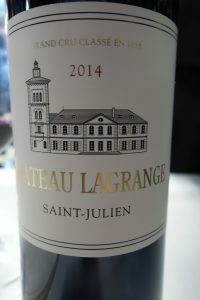 Suffice it to say that it is deep and subtle with an unmistakable violet element as well as muted graphite and coffee aromas. 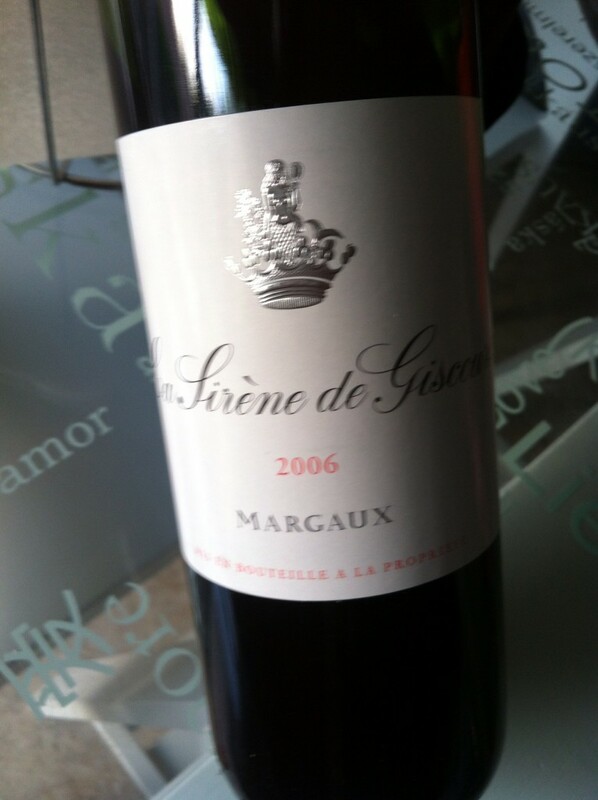 The wine has a gorgeous texture on the palate with the guts to back up the tremendous elegance. 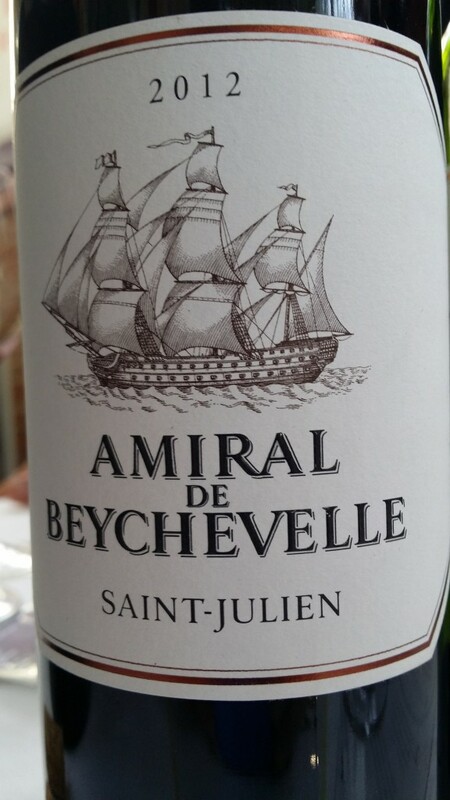 The aftertaste is deliciously long and aromatic. Check back in 2050! 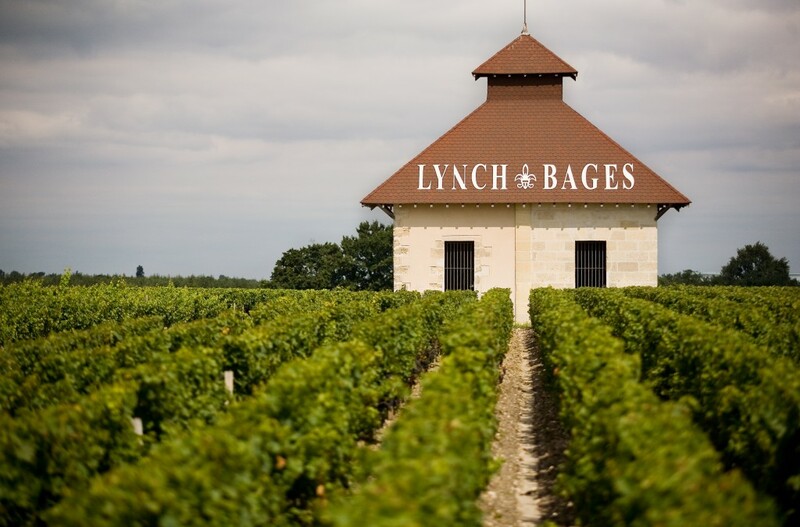 This Lafite proves that the best wines of the vintage, thanks to a streak of lively fresh acidity, have what it takes to age, as well as a unique balance between fruit, tannin, and acidity. 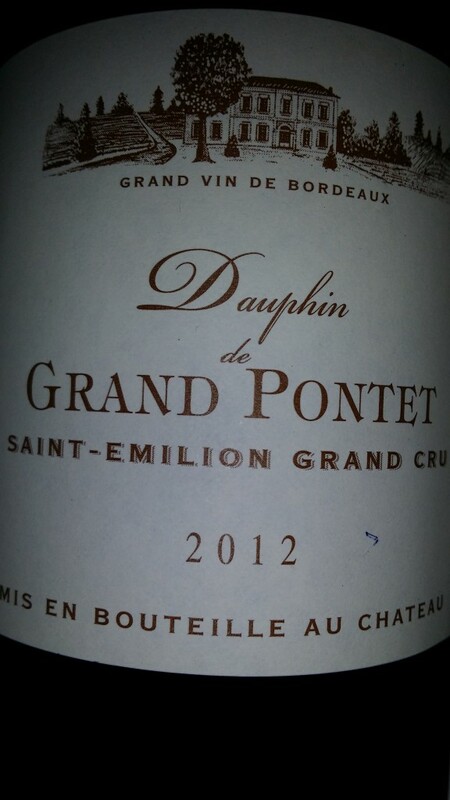 This Lafite was one of the best wines I tasted all week. It’s nice not to be disappointed! 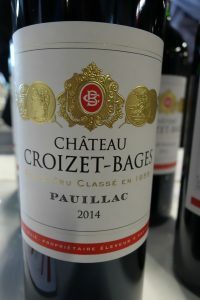 Posted in Tasting notes and tagged Bordeaux, bordeauxwine, Médoc, medoc-bordeaux, Pauillac, wine on April 18, 2017 by AlexR. 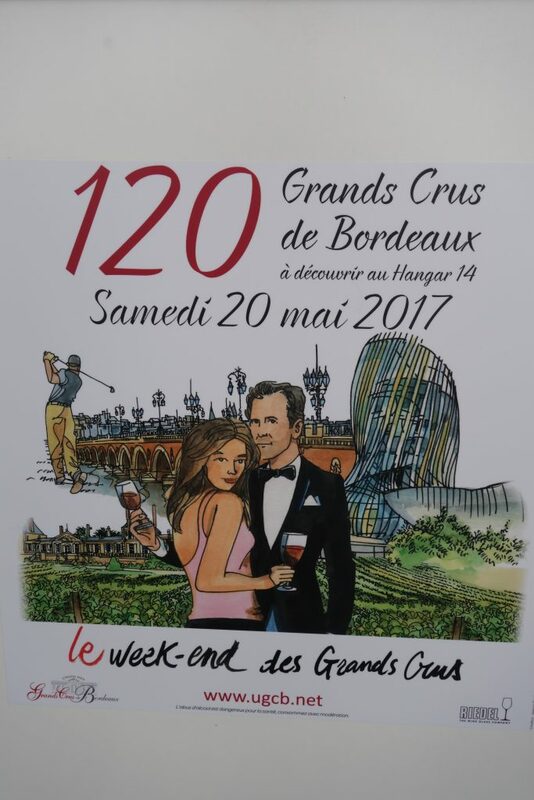 Along with a friend in Paris and others in London and the US, I organized a 5-day tour of top-flight Bordeaux châteaux for 18 people. This took a great deal of planning, months in advance, but was well worth the effort. 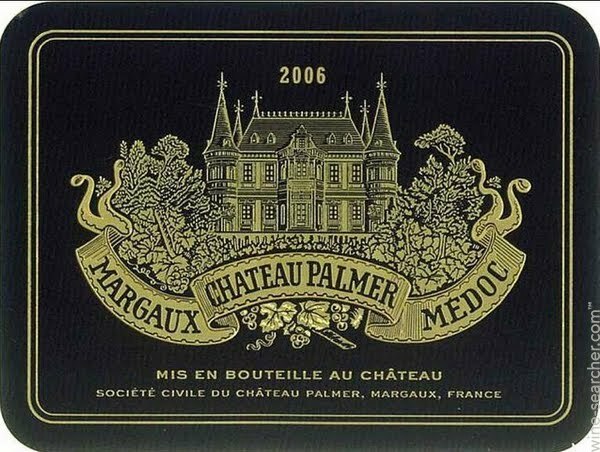 We started off with Château Palmer. 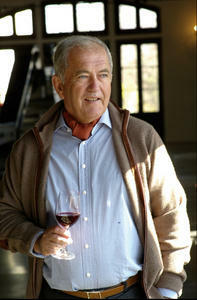 All my Bordeaux-loving friends adore Palmer, and I’m not about to disagree. 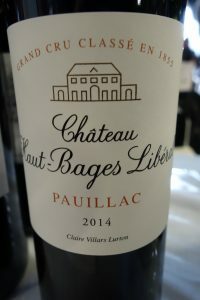 It is not rare for me and others to find Palmer better than Margaux in certain vintages, and such was the case with 2014 in my opinion. 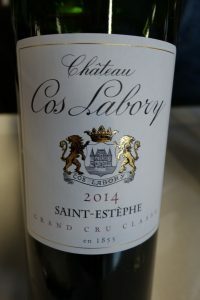 Anyway, we were shown around by Céline Cassat, and I give her full marks for starting out in the vineyard, explaining the lay of the land, the estate’s winegrowing philosophy and, of course, their recent turn to organic and biodynamic viticulture. 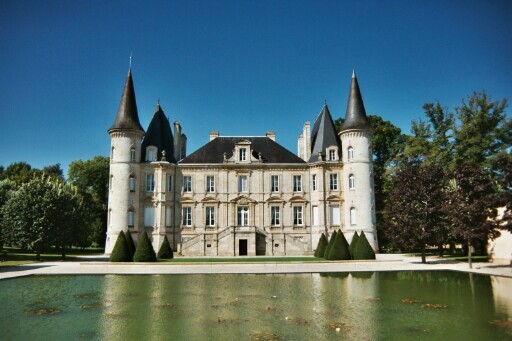 This was as opposed to most châteaux that only show visitors their cellars. Palmer has been entirely renovated and is clearly in full swing. 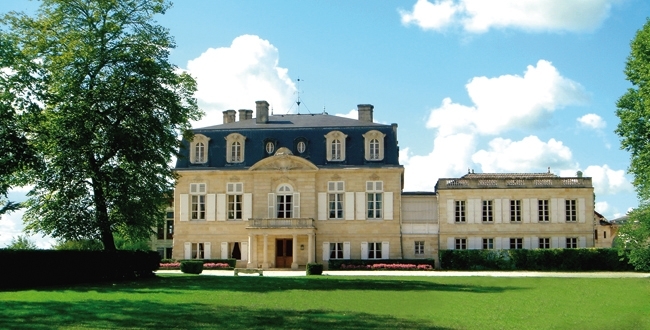 The grounds are beautiful, the château looks great, and the cellar is now magnificently-equipped. We tasted 2011 Alter Ego and 2006 Palmer. 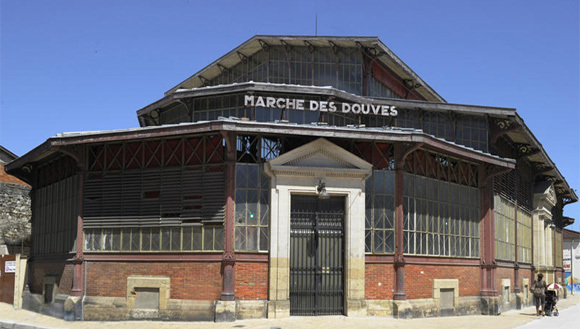 The former was smooth and is in an early-maturing, more commercial style. The latter had velvety tannin and good grip, and will also show well before too long. 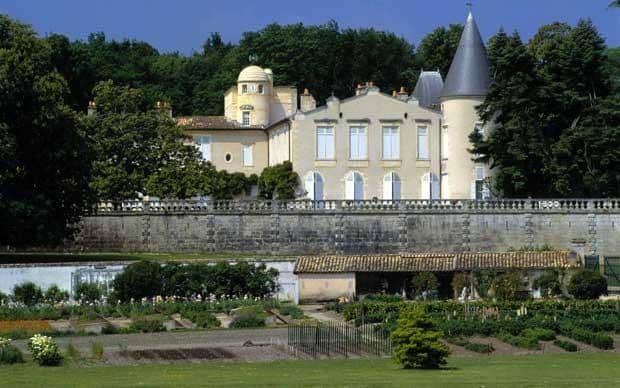 We went from Palmer to 5th growth Château du Tertre, which has belonged to Dutch businessman Eric Albada Jelgersma since 1997, as has 3rd growth Château Giscours. 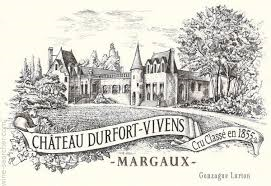 Several members of the group had specifically asked to go to du Tertre because the wine offers such excellent value for money. 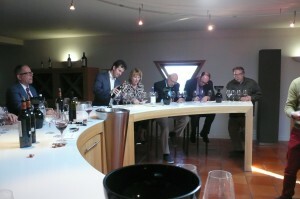 We were very well received by Marc Verpaalen and not disappointed with what we tasted. 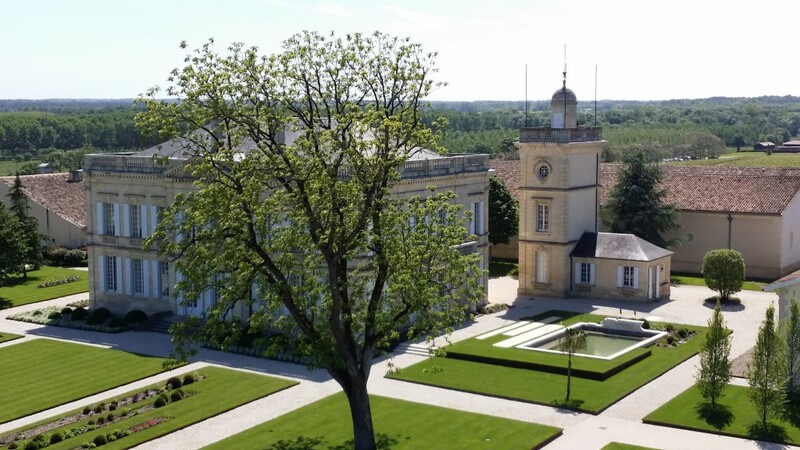 After sampling the elegant and fairly forward 2012 du Tertre and 2012 Giscours, we went for a light lunch on a beautiful veranda overlooking a swimming pool and the château. 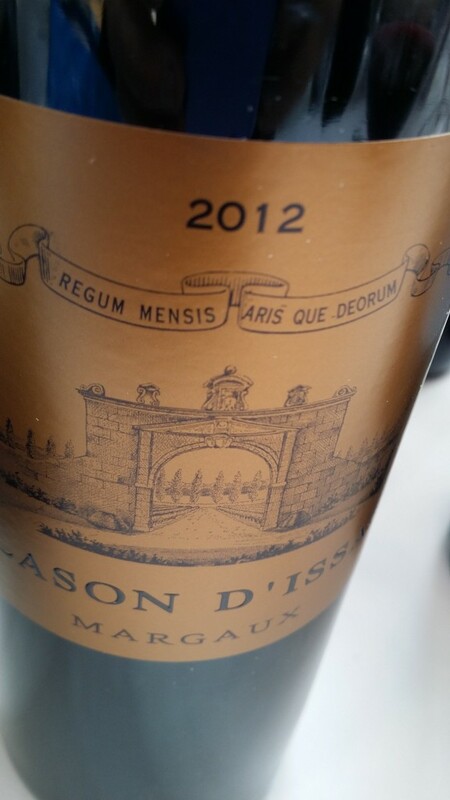 The wines we had at lunch were 2009 du Tertre, 2006 Caiarossa from Tuscany (also owned by Eric Albada Jelgersma), 2014 Giscours and du Tertre, as well as 2004 Giscours. 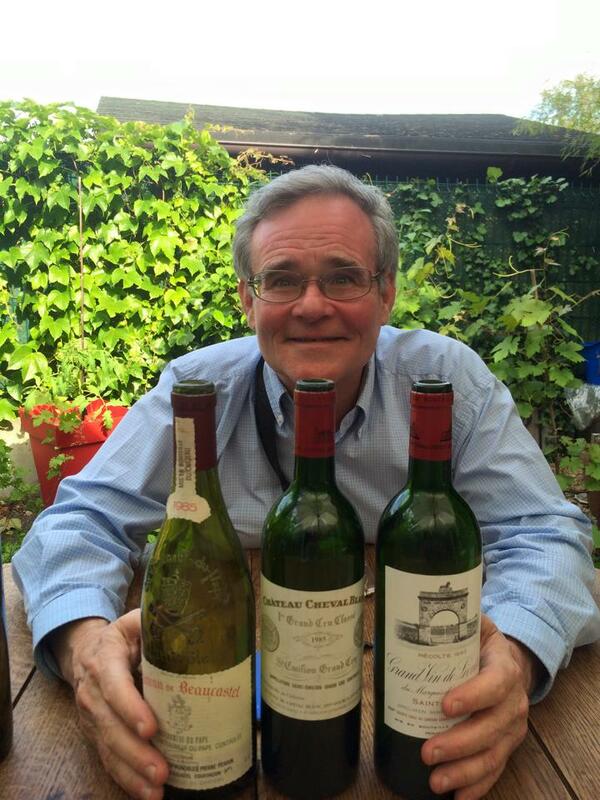 The 2014s are very promising and the 2004 was good for the vintage and ready to drink now. 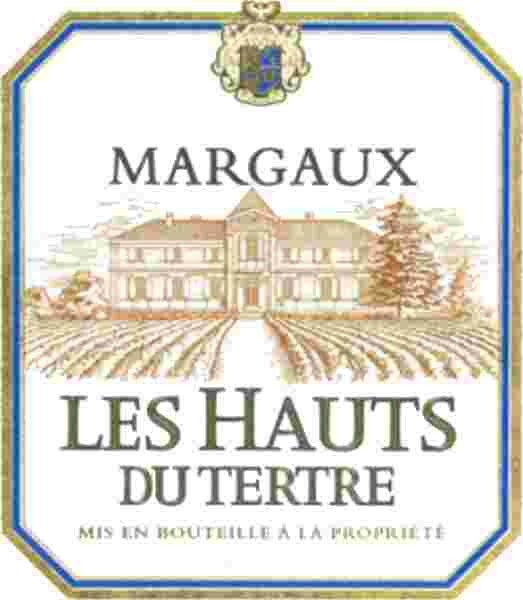 Marc informed us that since the owner’s son is allergic to red wine, Château du Tertre will be soon be producing a white wine. While organizing this trip, I learned that the first growths now limit the number of visitors, which made planning things a little hairy. 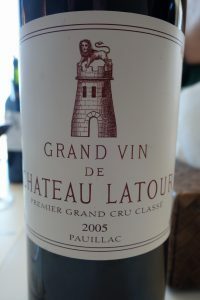 Such was the case with Château Latour, who accept no more than 10 people. 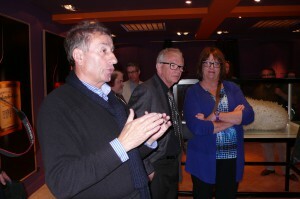 However, much to their credit, they agreed to welcome two groups in succession. 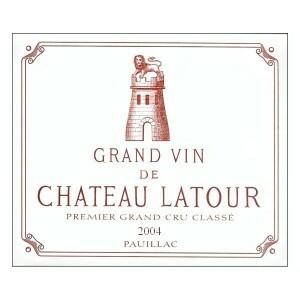 While the first group visited Léoville Las Cases, the other half, including myself, went to Latour. 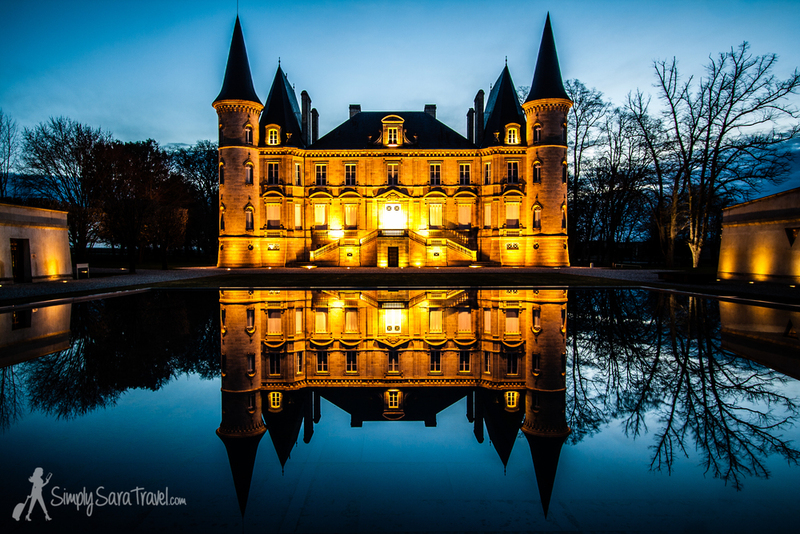 Like many top-flight châteaux, they have expanded and renovated their cellars, which are now in tip-top condition. 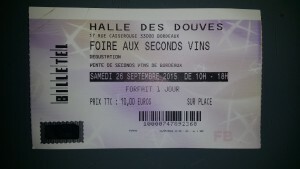 We were first of all ushered into a room to watch a film about the château. 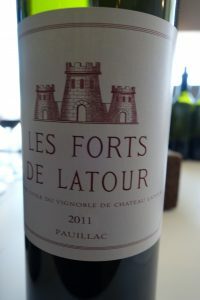 This had tinkly faux-Zen music and didn’t seem particularly to focus on Latour rather than any other wine estate. Once past this rather boring introduction, we went on a guided tour. The facilities were as impeccable as one would expect at a first growth. 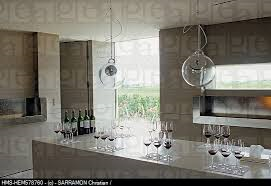 We also admired their new wine library, with magnums going back a very long way. 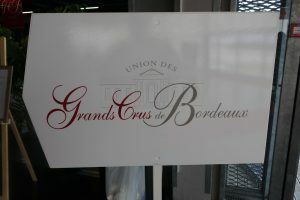 The tasting room is wonderful, and we sampled three wines there: the 2011 Pauillac, the 2008 Forts de Latour, and the 2004 Latour. 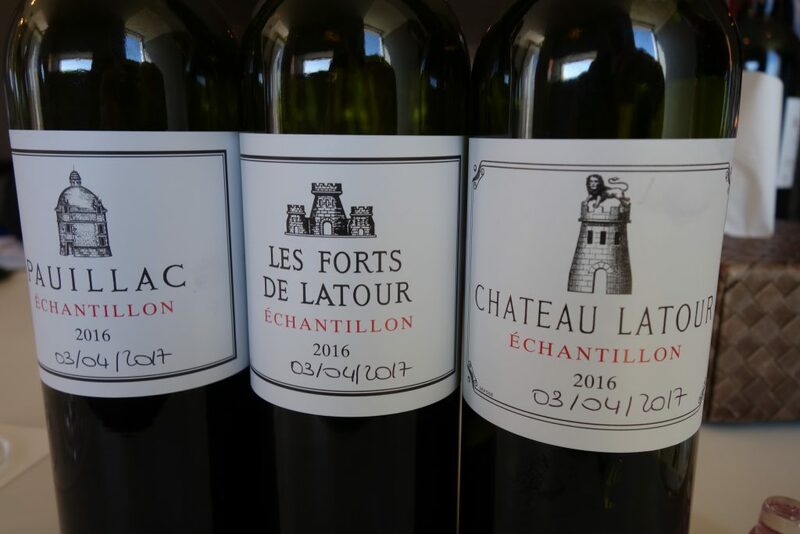 The Pauillac was very attractive, Les Forts lacked some richness and concentration, but was still quite nice, and the Latour proved to be lovely with fine textured tannin. It is also quite enjoyable to drink now. 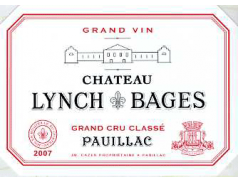 No, you don’t always have to wait decades to drink these wines, even if that is the case in great years. 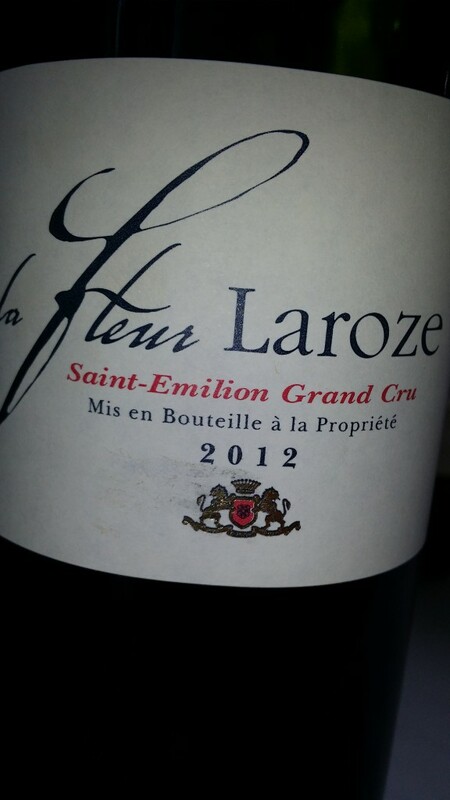 After Latour, I went with half the group to Château Gruaud Larose. 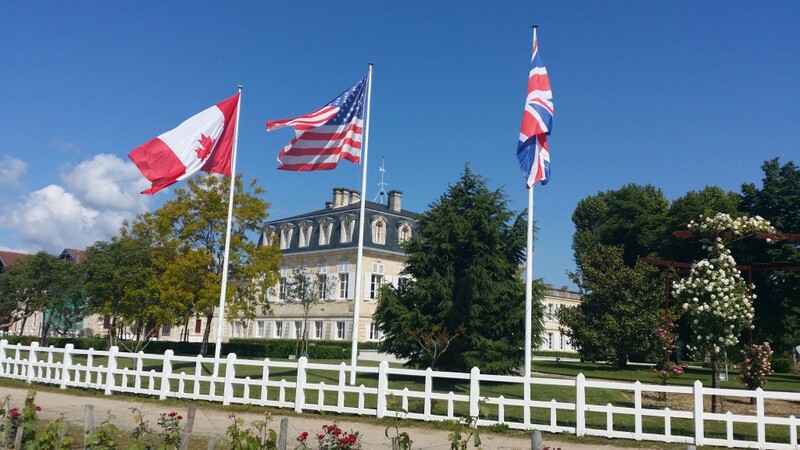 This was a wonderful visit. 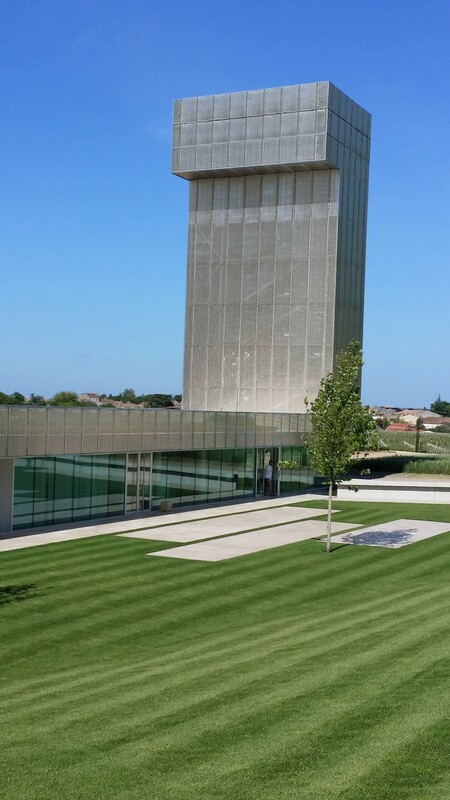 It started out with a trip up a steel tower that has just been built to house an observation post and a visitor reception center. 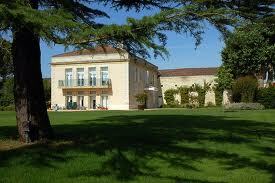 This affords a fantastic view of the estate and the surrounding countryside, including manicured grounds and gardens. 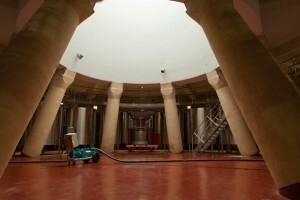 We were taken around the cellars by winemaker Stéphanie Lebaron Bouchonneau. 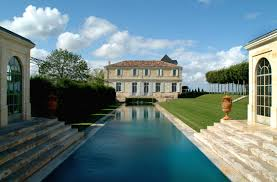 As always, it’s the person and not the surroundings, however luxurious they may be, that makes visiting a wine estate memorable. Stéphanie is charming, relaxed, funny and, above all, extremely competent. She poured us a number of wines. 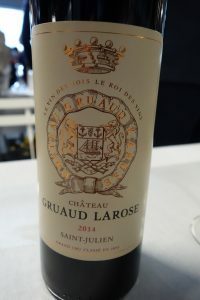 2014 Sarget (the second wine) was simple and nice, 2014 Gruaud Larose quite tannic and promising, 2006 GL a little too oaky, and 1998 GL – 17 years old – perhaps a little dry, but at its peak and very enjoyable. 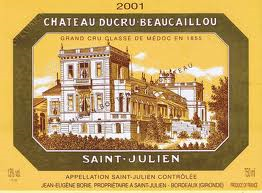 It is a treat and a rarity to drink a wine that old when visiting a Bordeaux estate. 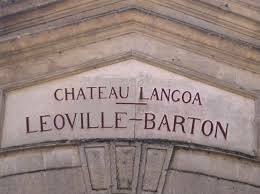 Afterward, we went to Château Léoville Barton, where Liliane Barton welcomed us warmly, despite the fact that we were not on time… Liliane’s family have owned Langoa and Léoville Barton since the 1820s, and are definitely part of the Médoc aristocracy. However, Llilian is a relaxed, down-to-earth person and very much a philosopher in her own way. 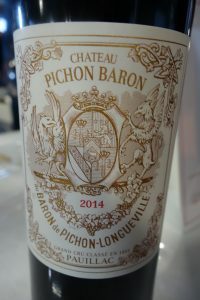 Trends come and go, but the Bartons have nearly two centuries of experience in making fine wine, and so are very circumspect. For instance, Liliane is against green harvesting because she feels that what works one year complicates things the following year. 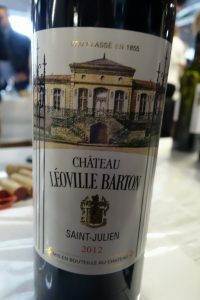 We started out by tasting the other Barton estate, 2011 Château Mauvesin-Barton, which I have talked about elsewhere on the blog. 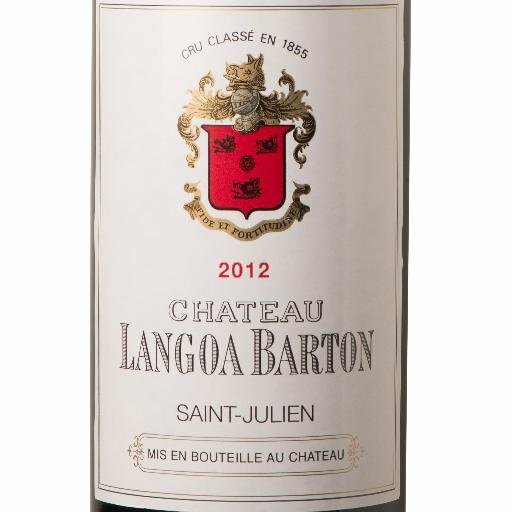 We then sampled 2012 Langoa Barton which, like some other wines from this vintage, was already showing very well. 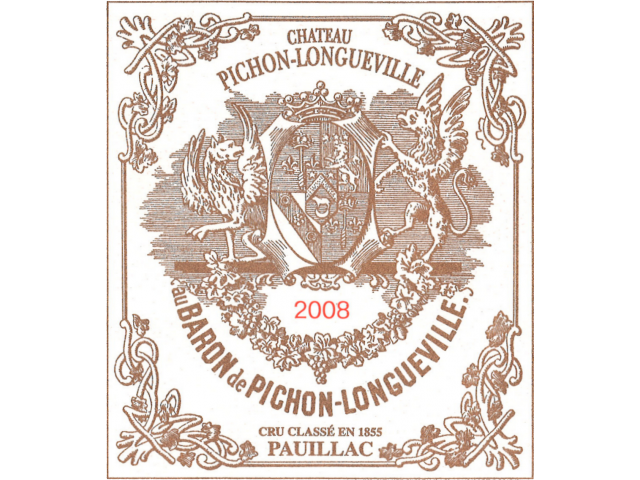 The 2014 Léoville Barton was sweet and seductive on the nose, lacking perhaps just a touch of weight and richness to back up the structure. 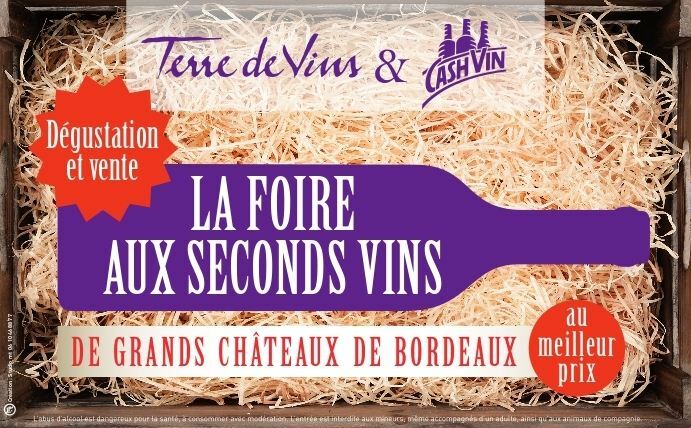 It is nevertheless a fine, classic wine. 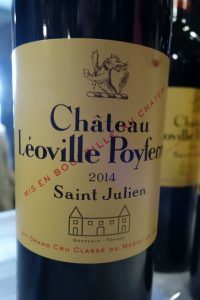 The final château that day was Léoville Poyferré, where we were welcomed by the bubbly Anne Cuvelier, who speaks good English and clearly enjoys explaining the ins and outs of winemaking. 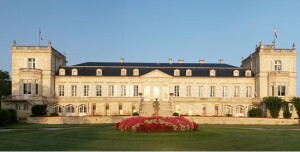 The group had dinner at the newly-refurbished château (a recurring theme, as you can see). If you have read this far, please note that all of the above was in just one day, which is about the maximum anyone could possibly fit in! 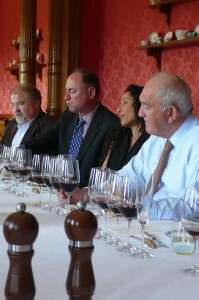 We tasted the wines at dinner rather than beforehand. 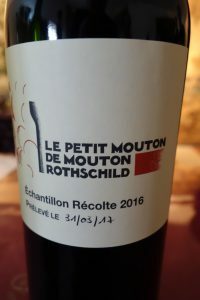 The 2014 Moulin Riche was light, fruity, upfront and – unsurprisingly – less serious than the grand vin. 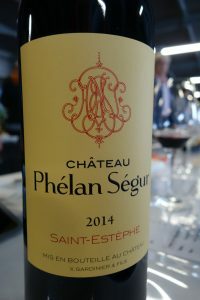 The 2012 was better than expected and I am not far from thinking that 2012 may actually be better than 2011 in many instances in the Médoc. 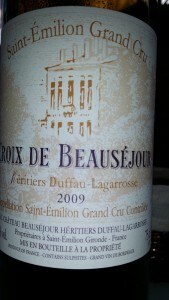 The 2008 Léoville Poyferré had a fine ethereal nose and lovely blackberry flavors on the palate. 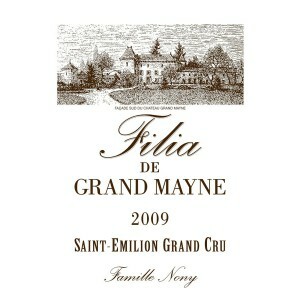 The 2007 was light and refreshing and the 2005 was deep and classic, with rich berry fruit. Posted in Uncategorized and tagged Bordeaux, Latour, Margaux, Palmer, Pauillac on May 29, 2015 by AlexR.